The Alt Credit European Services Awards recognise the best in class for services to alternative credit fund managers. Service providers will be recognised for their excellence in customer service, technological innovation, and overall service. For the first time, the Alt Credit Services awards will be combined with the performance awards, so winners will receive their accolades from an audience of peers and clients. When entering the 2018 Awards, please read through the following criteria for your chosen category(ies), which explain what the judging panel will be looking for when they judge the entries and select the winners. The awards will be publicised internationally in the general and hedge fund media. All awards finalists will be honoured — and the winners announced at an afternoon ceremony on Wednesday 31 October at Plaisterers' Hall in London. All winners will also be invited to be interviewed by Alternative Credit. This award is designed to reward fund administration firms that have shown true growth and a commitment to client service over the course of the last twelve months. Success in this category depends on a mixture of customer and revenue growth, as well as the ability to demonstrate innovation and the ability to develop new products and solutions for credit managers. This award is designed to reward audit specialists that have shown growth and excellent customer service over the past twelve months. Success in this category depends on a mixture of customer and revenue growth, as well as product or brand development that demonstrated new thinking and which can boast significant success and positive customer feedback. This award is designed to honour the firm that has provided the most effective client service for debt administration services for both lenders and credit funds. Success in this category depends on demonstrating both customer and revenue growth, as well as detailing how the businesses has addressed client-specific needs. This award is designed to honour the firm that has provided the most efficient and reliable debt administration service for both lenders and credit funds. Success in this category depends on demonstrating both customer and revenue growth, as well as detailing examples of innovation and where the service has made a real difference to clients. This award is for the best legal, administrative or tax service which has helped managers structure the most effective fund for their strategy. Success depends on a mixture of customer and revenue growth, as well as the ability to demonstrate innovation and the ability to develop new products and solutions for credit managers. This award is designed to honour the law firm that firm that has shown genuine innovation and focus on credit hedge funds. Success in this category depends on providing examples of how the firm has been particularly responsive and innovative in meeting customer need, as well as detailing examples of where client advice has made a real difference to the business development of a credit management firm. This award is designed to reward fund portfolio management providers that have shown true growth and a commitment to client service over the course of the last twelve months. Success in this category depends on a mixture of customer and revenue growth, as well as the ability to demonstrate innovation and the ability to develop new products and solutions for credit managers. This award is designed to honour a firm that has provided an excellent service as a provider of outsourced IT solutions for the credit sector. Success in this category depends on demonstrating both customer and revenue growth, as well as detailing examples of how service provision has been able to improve the communication, infrastructure, IT and business development of a client or clients. This accolade is designed to honour the firm that provides the most genuinely comprehensive, innovative and useful data to the credit space. Success in this category depends on demonstrating how useful the information is to clients, how easy it is to leverage and render into bespoke reports and the efficiency of the delivery mechanism. This award is designed to reward risk management advisors and software vendors that have shown true growth and a commitment to client service over the course of the last twelve months. Success in this category depends on a mixture of customer and revenue growth, as well as the ability to demonstrate innovation and the ability to develop new products and solutions for credit managers. This award is designed to reward technology providers and trading platforms that have shown growth and innovation in providing traders, portfolio and risk managers with the ability to execute trades, manage their portfolio and make real time decisions. Success in this category depends on a mixture of customer and revenue growth, as well as product or brand development that demonstrates new thinking and which can boast significant success and positive customer feedback. This award is designed to reward fund administration firms and valuation specialists that have shown true growth and a commitment to client service over the course of the last twelve months. Success in this category depends on a mixture of customer and revenue growth, as well as the ability to demonstrate innovation and the ability to develop new products and solutions for credit managers. This award is designed to honour the compliance advisor that has shown genuine commitment to customer service. Success in this category depends on providing examples of how the firm has been particularly responsive and innovative in meeting customer need, as well as detailing examples of where client advice has made a real difference to the business development of a credit management firm. This award is designed to honour the prime broker that has shown the greatest commitment to servicing credit clients. Success in this category depends on demonstrating how the have managed to provider a meaningful advisory, trading and cap intro service for credit clients. This award is designed to reward the firm which has shown commitment to client service over the course of the last twelve months. Success in this category depends on a mixture of customer and revenue growth, as well as innovative and constructive way to service existing clients. This award is designed to reward the firm which has helped credit businesses develop their teams, and helped candidates develop their careers. This award is designed to honour the firm that has provided the most robust and innovative middle office service for credit funds. Success in this category depends on demonstrating both customer and revenue growth, as well as detailing examples of innovation and where the service has made a real difference to clients. Submit the official entry form, by the deadline of 11:00pm GMT, Friday 7 September 2018. Entries close at the above time, so make sure you have submitted your online entry form in time. There will be no entry extensions, and all entries must be submitted by Friday 7 September 2018 in order to be considered for this year’s awards. The Awards are FREE to enter, and you can submit as many entries as you wish across all categories. The shortlist will be announced in mid-September 2018. 1. Create an online profile here - you will then be able to access the official online entry form, and use this to draft and submit your award entry(ies). 2. Complete the online entry form - you can draft and save your submission entry then return to edit it at a later date. You can find your drafts by logging here. Please note, you must return to your entry dashboard to select and submit your award entry(ies). Drafts of entries will not be put forward for consideration by the judges. 3. Make your final submission by the entry deadline - Friday 7 September 2018. If you have any questions regarding entering the Awards, please contact a member of the team here. The judging process is rigorous and thorough to ensure that all the entries receive full consideration and that the true winners are chosen. Entries are reviewed for relevance and quality internally to produce a shortlist of the outstanding candidates. A judging panel comprised of representatives from Alt Credit, leading institutional and private investors and industry experts collectively decide a winner in each category from the shortlist, with the option to also nominate a highly commended entry. Judges have discretionary power to move submissions into alternative categories that they think may be more suitable. All judges are required to sign a disclaimer form to keep information about entries and the final winners confidential. PLEASE NOTE: Judges are obliged to declare that they have no conflicts of interest prior to judging. 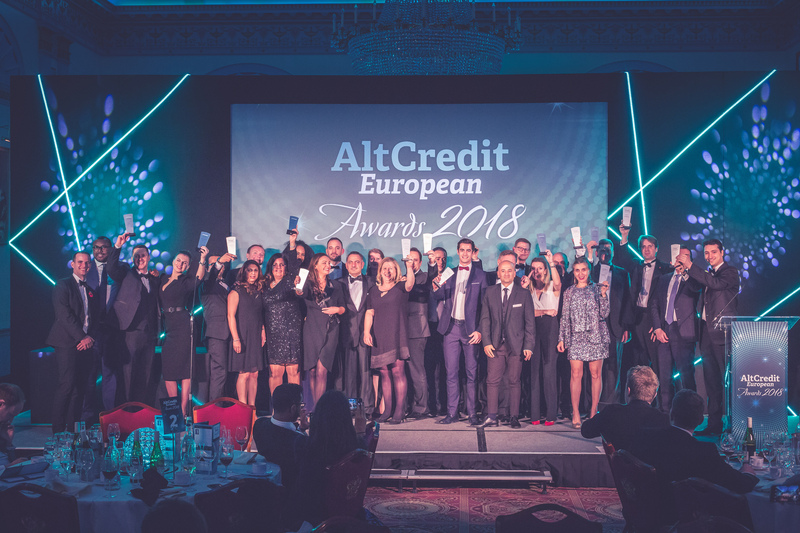 The Alt Credit European Services Awards 2018 will take place in London on Wednesday, 31 October 2018. Sponsoring the Alt Credit European Services Awards 2018 is a unique opportunity to engage and network with key decision-makers, raise your company profile and position your brand as a leader in the market. The 2018 Awards will take place on 31 October at Plaisterers’ Hall, London.